How Do GPS Trackers Save Employers Money? In the old days, if you had a fleet of trucks making your deliveries, things weren’t as efficient as they are now. Thanks to GPS trackers, employers can save money while also increasing efficiency. It’s no wonder, then, that they’re becoming ubiquitous in many industries today. 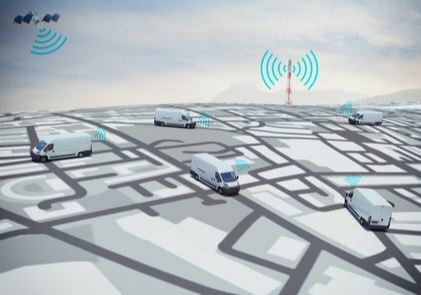 Advancements and features in GPS software technology keep improving to the point where they’re able to offer helpful information to both truck drivers and their employers, which can include fleet managers and others who want to know where the trucks are at any given moment in time. GPS trackers gather information that typically includes speeds, routes and idling times. For most companies, a huge expense is the fuel they have to buy to get their trucks moving– and GPS trackers help companies save money because fuel cards are able to be integrated with tracking software such that driver behaviors can be analyzed and improved. Ultimately, the technology can be utilized to direct drivers toward habits that utilize their fuel in the best ways possible. A company could, for instance, take a look at ten drivers on any given day and see who’s using the most fuel. What kind of vehicle are they driving? Why are they using so much fuel? What could be done to change that? All these good questions can lead to ideas and methods that save money on fuel costs. Finally, GPS trackers give companies insight into where their employees go, how much the vehicle is being used (or not used! ), and what routes drivers are using. If something or someone is inefficient, the GPS tracker alerts managers that some changes should be made. Learn more about GPS vehicle tracking here. How Does a Home Security System Function?